One of the things I like about starting a new year is that you can draw a line under anything from the previous year. Even if I’ve spent forever working on something in one year, I always feel like a fresh start is made on a route/problem once January comes round. Maybe it’s my way of convincing myself I’m not stuck on a plateau?! Last year I made the decision to commit to two FA projects on grit – one really, really hard and the other as something that was my anti-style. I wanted to do this as I’ve had a tendency in the past to climb things that were either relatively quite easy (under sport grade 8a on trad) or that suited me in climbing style. Both projects seemed to progress at an equally boring rate and just before Christmas I decided to take a break from both and go do The Zone at Curbar just to get my head out of it all and get something done. This January’s mix of snow, rain and generally terrible climbing conditions has kind of been a mixed blessing for my “anti-style” project at Shining Cliff. The direct start project to Geckoblaster is almost always dry and also conveniently on the way to work at The Climbing Station in Loughborough. 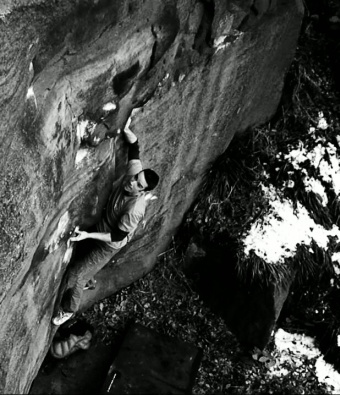 The direct moves into Geckoblaster partly follow Jon Fullwood’s boulder problem “Moo Cow” which is about the most perplexing Font 7a+ you’re going to find on grit! 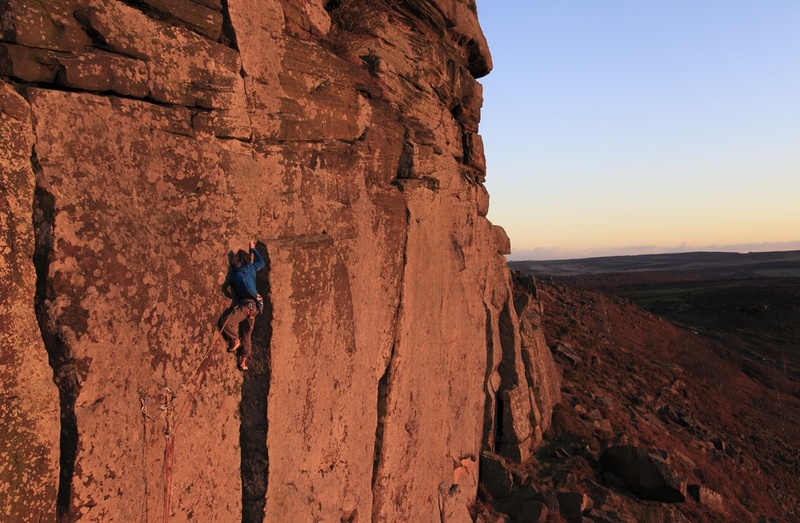 Weird, contorted, tiny crimps, everything facing the wrong way….. All I can say, is thank goodness Jon could give me the beta! Once I’d finally worked out what the hell I was doing on the bottom section, it was a case of linking the whole thing together, which involves some really powerful climbing with big moves, very unlike most grit routes. Whilst everyone else was moaning about the snow and wet crags I knew that Shining Cliff would be my only hope and sure enough on the wettest miserable day last week, the project was perfect. As I’d dragged a few belayers/spotters out over recent months, I felt like I couldn’t do it again, so I ended up soloing the line (there is an RP2 on the top headwall for sensible people). Unusually for me, the ascent felt harder than expected, even though I was in a committed mindset. I have to confess, I didn’t have as much a margin as I’d hoped for. After finally completing the route, my mind immediately wondered back to The Zone and how I’d felt on that route – after all, this was my most recent reference point and a “break” from project stagnation. 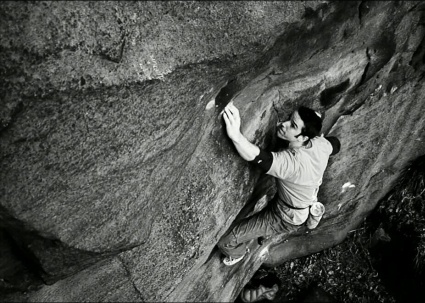 The Zone had felt something like 7c+ and fairly dangerous, whereas My Kai was more like a hard 8a and just as dangerous. It had also taken perhaps 4 times as long to do! Sat there thinking about it, I could feel myself getting dragged in the “grade relativity” argument and that’s something I’ve tried to stay away from over the years. After a couple of minutes thinking about it, I went for my gut feeling of E8 6c as sometimes you can’t apply science and logic to grit. Maybe that’s why we all love it so much?